NO. 3 CARDING MACHINES MAKE MARZOLI MODEL CX400 year 1998, cotton clothing complete with feeding Silos Marzoli B138, year 1998. automatic doffing. NO. 1 FLYER NSC TYPE BM 14 (Year 1982) 64 spindles Serial 1674 Feeding 64 cans of 700x1200 mm. Little biberon rubber cylinder system Bobbins delivery diam. 180 x 350 mm. NO. 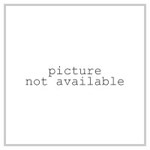 7 RING SPINNING MACHINES MAKE ZINSER MODEL 420 SL, year 1991, 1096 spindles, ring diam. 51 mm, gauge 75 mm, Magitex, tube height 260 mm. Linked To: NO. 7 CONE WINDING MACHINES MAKE MURATA MODEL MACH CONER E 7/2, year 1991, 34 heads, exit 6" biko, (3) machines with clearer Peyer PI 121, (4) machines with clearer Uster Quantum, automatic doffing, waxing, Magitex, splicer Murata. NO. 6 OPEN END MACHINE SCHLAFHORST MODEL ACO 288 SE9, 1 machine rotor type T 236 BD, year 1996, 1 machine rotor type T 240 D, year 1996, 1 machine rotor type T 240 BNK, year 1995, 2 machines rotor type T 240 BD, year 1994-95, 1 machine rotor type T 340 BD, year 1997, all machines SRZ type Delivery Cone 1°20 or Cheese, carding system S 21 DN, knoddle KN4, 2 doffers, bobbins changing system, with clearer Colorab Plus. NO. 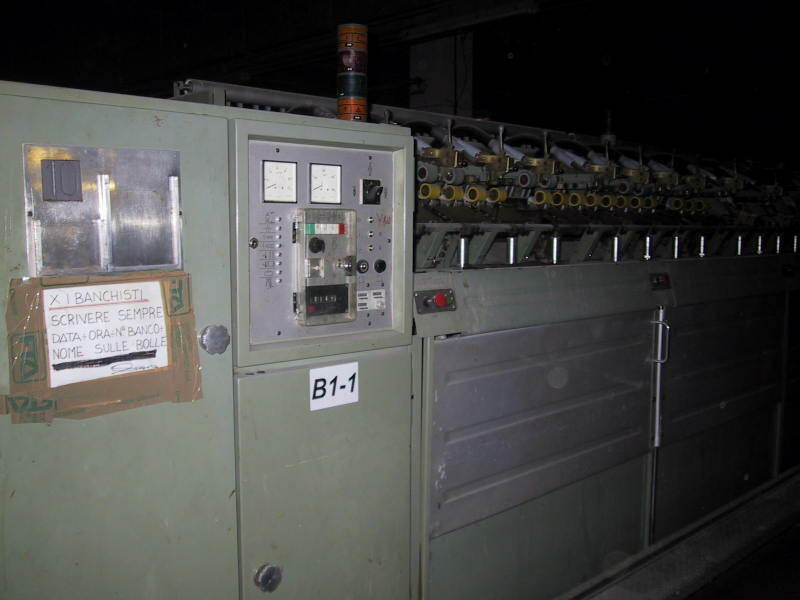 1 OPEN END MACHINE SCHLAFHORST MODEL ACO 288 SE10, 192 heads, year 1998, rotor type T 240 D, Delivery Cone 1°20 or Cheese, carding system S 21 DN, knoddle KN4, 2 doffers, bobbins changing system, with clearer Colorab 7. NO. 1 RING FRAME MAKE RIETER MODEL K44, year 2000, gauge 70 mm, 1008 spindles, ring diameter 40 mm, with draft Rieter P3/1, tube height 190 mm, with blower Magitex, Linked with NO. 1 CONE WINDING MACHINE MAKE SAVIO MODEL ORION 24T, 24 heads, with splicer, conicity 4°20, with claerer Leopfe Spectra TK 930H, waxing. NO. 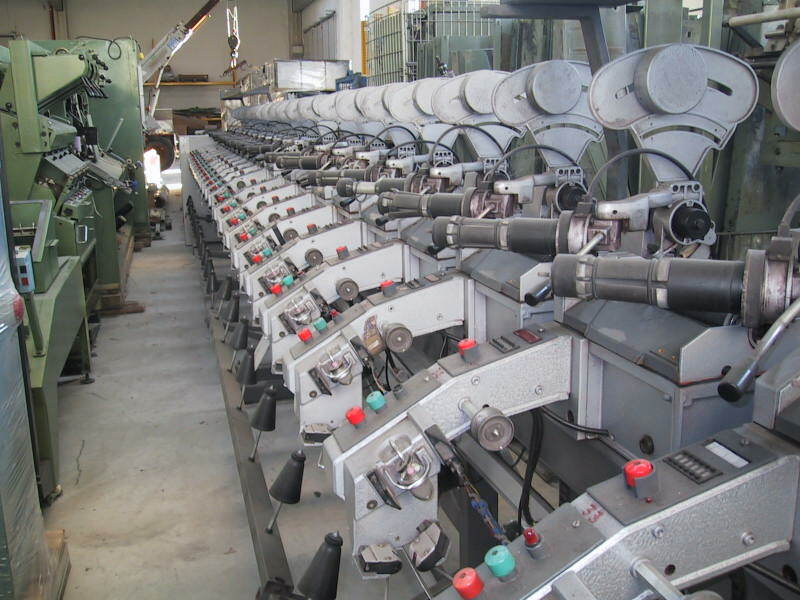 4 RING FRAME MAKE RIETER MODEL K44, (2) year 2001, (1) year 2000, (1) year 1999, gauge 70 mm, 720 spindles, ring diameter 40 mm, with draft Rieter P3/1, tube height 190 mm, with blower Magitex, Linked with NO. 4 CONE WINDING MACHINE MAKE SAVIO MODEL ORION 16T, 16 heads, with splicer, conicity 4°20, with claerer Quantum, (2 of them are dismantled) waxing. NO. 1 Vouk High production automatic twin delivery drawing frame, type SH 2, s.n. 87 (2B), 16 can filling heads, with "Uster" Sliver data control type ADC-E2, "Veeder-root" counter, flock filter and electric control cabinet. NO. 1 Vouk High production automatic twin delivery drawing frame, type SH 2, s.n. 18 (1C), 16 can filling heads, with "Uster" Sliver data control, type Data.NMT and type ADC-E2, "Veeder-root" counter, flock filter and electric control cabinet. BLOW ROOM Opening line - Rieter line: No. 1 manual, blender mix Marzoli B/10 year 1997. No. 1 manual, blender mix Marzoli B/10 year 1997. No. 1 manual, blender mix Marzoli B/10 year 1975. No. 1 map Marzoli B22 year 1997. No. 1 auto mixer Marzoli B140 year 1980. No. 1 opener horizontal Rieter ERM year 1982. Blowroom Opening line - Marzoli line: No. 1 manual, blender mix Marzoli B10, year 1997. No. 1 opener horizontal Marzoli B31 (Axyflow) year 1963. No. 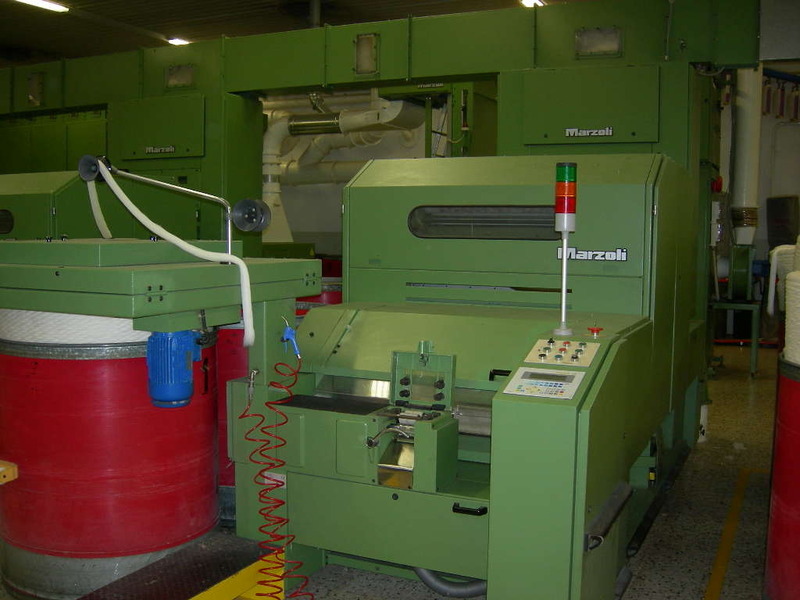 1 opener horizontal Marzoli B36 year 1998. No. 1 opener horizontal Marzoli B36 year 1998. No. 1 auto mixer Marzoli B140 year 1975. No. 1 opener horizontal Marzoli B75 year 1975. Blowroom Opening line - Trutzschler line:	No. 1 manual, blender Trutzschler TB/10 year 1981 electronic weighing No. 1 manual, blender Trutzschler TB/10 year 1981 electronic weighing No. 1 Manual Blender for waste Marzoli B /10 No. 1 opener horizontal Marzoli B141 year 1996. No. 1 opener horizontal Marzoli B34 year 1996. NO. 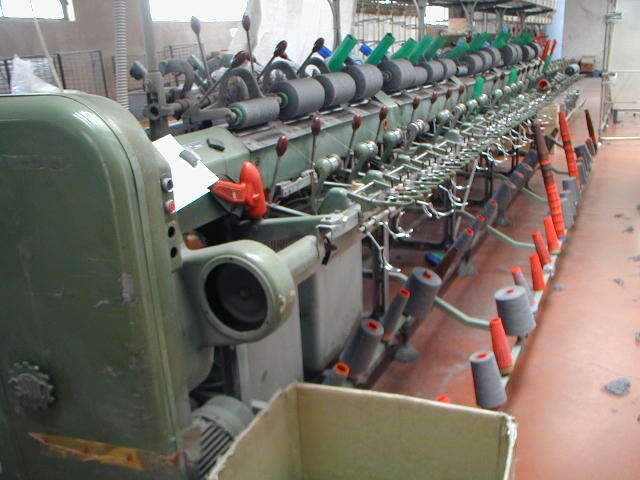 1 ZERBO HANK REELING MACHINE, 32 heads, with side external creel, automatic swift opening, inverter, year 1990. NO. 10 RING SPINNING FRAMES MAKE ZINSER MODEL 320, 1000 spindles, tubes of 230 mm, ring 45, gauge 70 mm, draft SKF PK 235, with roving stop fil, with yarn sensor, overhead clearer device, with automatic doffing Cowemat, year 1992/94, speed 13.000/18.000 rpm, length 42 meters, 10 motors of each 3 Kw, tangential belt drive, prodcutions average count any 30/ 550 kg per day per ring frame, ring spinning frames suitable for synthetic and cotton blends. NO. 6 FLYER FRAMES MAKE RIETER MODEL F11/1A, 96 spindles, year 1980.